I have two favourite things. Wine and travel. When I can, I try to combine the two for epic weekends spent enjoying some of the world’s best wines. 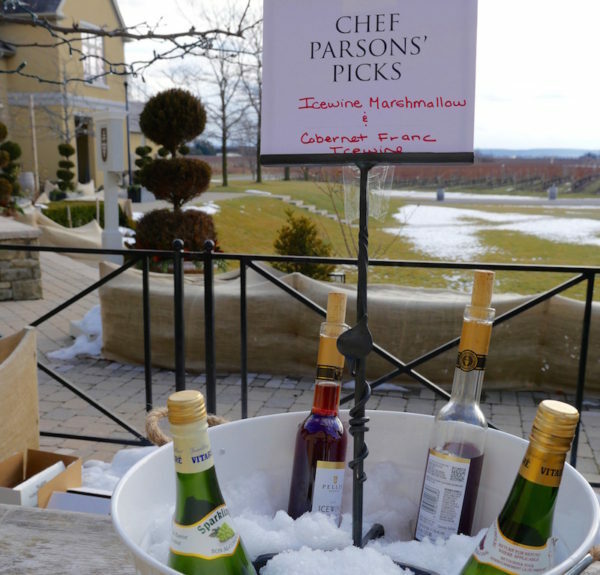 Luckily, some of my most loved wineries are only a short drive away in the Niagara Peninsula wine country. People often ask me about my go-to wineries and the truth is depending on the time of year and how I feel that day, my favourites shift and change like the seasons. Luckily for me, Wine Country Ontario has just released its Travel Guide 2017 for Prince Edward County, Lake Erie North Shore, the Emerging Regions, the Niagara Escarpment & Twenty Valley and my home away from home, Niagara-on-the-Lake. To pick up your own copy of the Travel Guide 2017 head over to you local LCBO and pick up the most recent Food and Drink magazine or download it here. The Travel Guide contains 97 pages full of info on the best and newest wineries to visit this summer and throughout the year. 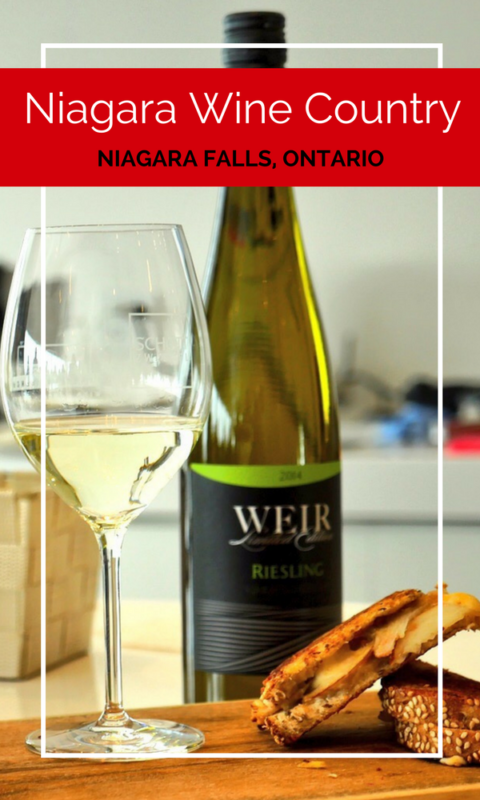 People are always surprised when one of my first recommended places to visit is Ontario’s wine country but the reality is that you don’t need to fly to another coast to experience a day on a winery or find new and exciting wines. 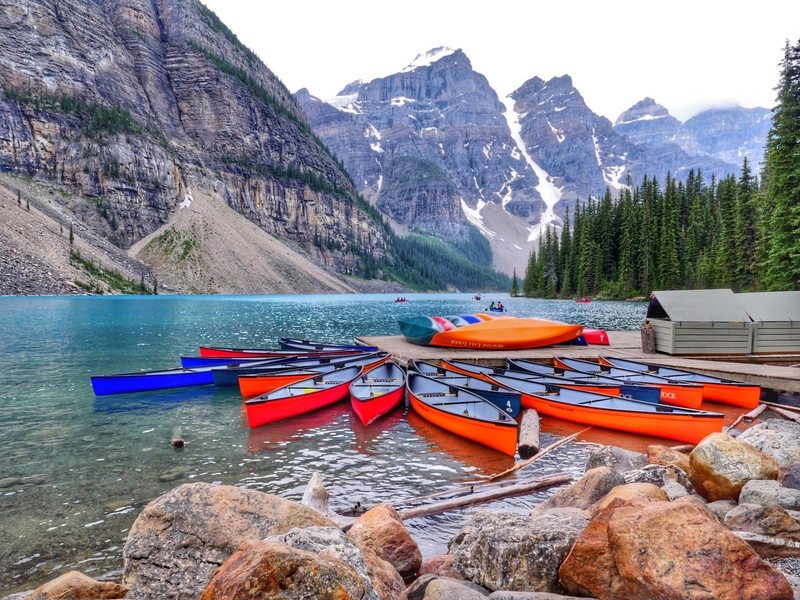 With the state of the Canadian dollar, this is the perfect summer to eat, drink and live local and wine country is a great starting point. Ontario Wine Country is divided by appellations or in simpler terms geographical areas. 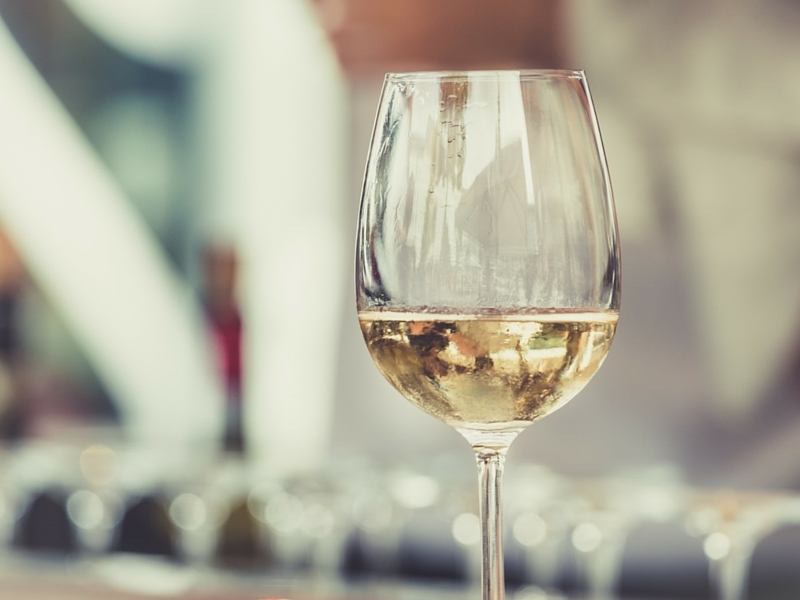 These areas are defined by factors like climate, weather, and soil composition which all create different styles and flavour profiles in each bottle of wine. My go to appellation is the Niagara Peninsula which encompasses both the Niagara Escarpment and Niagara-On-The-Lake. I remember the very first time I visited Niagara-On-The-Lake as an adult and the pure joy I found in the restaurants, inns and wines that awaited me. Now, I travel to the area frequently with and without my kids. Here are my don’t miss spots for this summer. Two Sisters Vineyards is by far one of my favourite wineries to visit. You will see why as soon as you arrive on the property. With over 76 gorgeously tended acres of land, the winery and the main building are stunning. Throw in lunch at onsite restaurant Kitchen 76 which serves incredible food but invites guests to be casually dressed and its the perfect stop on any vineyard tour. As I sip from the selections of wine, I like to dream of winning the lottery with my sister and buying the vineyard from the two sisters who actually own it. So far that dream has not actually come to fruition. I personally like to visit Stratus for what may not be seen as the usual reason to visit a winery. Frankly, I think the building looks cool. I love the modern touches, floor to ceiling glass windows and overall vibe of the winery. Until I picked up the Wine Country Ontario Travel Guide 2016, I actually had no idea that the winery was known for being the first fully LEED-certified winery in the world. Add in Stratus’ sustainability practices and this stop is a necessity. One of the bigger wineries that I love to visit is Peller Estates Winery. Located in Niagara-On-The-Lake, this is a common stop on winery tours and can be quite busy. Still, there are lots of reasons to visit. There is plenty of room to roam the property and see the facilities in which the wine is made. Add-ons like chef Jason Parsons’ fun creations like ice wine marshmallows for roasting help make this one of my regular stops. I discovered Back 10 Cellars at a wine festival and immediately fell in love with their wines. As the owner of the small 10-acre vineyard stood in the small booth and explained his techniques to the crowd, his enthusiasm for his wine was infectious. Back 10 Cellars’ wines are not available at the LCBO making this a definite stop to try something you may not find closer to home. My indulgence is the 2015 Smitten Sparkling. 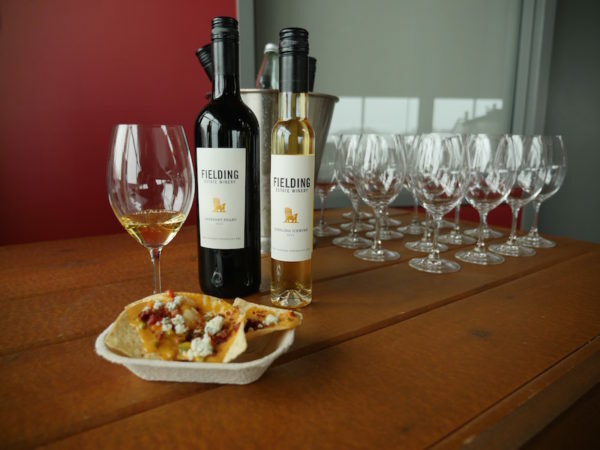 Fielding Estate Winery is located on the Beamsville Bench amongst a handful of other wineries. The staff at this winery make it worth visiting as they are always happy to see you and extremely welcoming. The wines are matched by a great selection of gifts for wine enthusiasts and the views over the grapes are stunning. Only open since 2005, Fielding Estate Winery has been named on of Canada’s Top 10 Wineries twice and Curtis Fielding was named Grape Grower of the Year in 2012-2013. This post was sponsored by Wine Country Ontario. All reviews and opinions are entirely my own. This is a scrumptious, delectable prize package which is perfect for the vulpine in all of us. Interesting article. I love Niagara wines. YES, YES, YES, I am ready for some wine. This would be perfect for a date with my husband! Wow that would be great for a picnic! I love the Niagara Peninsula Wine Country !!! My husband and I enjoyed a wonderful trip a few years ago to the Niagara wineries–such a nice time! Such a lovely prize. I absolutely love Niagara Wine Country. Ontario Wine Country is my favourite part of living in Canada! being that I live in Niagara wine country I have to agree with your review –I would also add Cave Springs to the list .. I love staycations in wine country !! Love to try the wine. I’m especially fond of the Ontario whites. I love Niagara wines! I would also add chateau des charmes winery on that list, beautiful winery and we love their wines! Beautiful set, how great it would be to use this at the beach nearby! What a lovely tour to take. I love food/drink and the opportunity to see the sites sort of days. I wish I was at Niagara-on-the-lake right now! My favourite destination. I haven’t been on a picnic for quite some time. Would love to win this. I would love to go on a wine tour one day! It sounds like such a lovely way to spend a day. So fun and yet,luxurious. For a perfect summer evening under the stars! Thankyou…I do enjoy Peller Estates Winery.